Bollywood actress who turned to be a Hollywood actress these days is always grabbing the headlines not only for her acting but for various reason. Hope you all understand about whom we are talking? Well, it’s none other than Bollywood desi girl Priyanka Chopra. 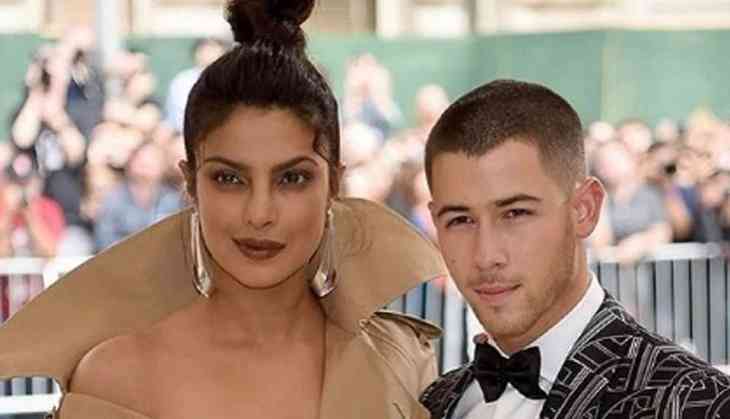 Yes, PeeCee has been in news for several days because of her alleged boyfriend, Nick Jonas. These days the duo have been spotted at several places together. Recently, Bharat actress has been captured with Nick in India also at her home. Several reports have been circulated that both are planning to get married. However, netizens have no other work to trolled tinsel town celebs. The same has happened with this newly loved couple in the film industry. It seems like Tweeple didn’t like desi girl Priyanka closeness with this 'vilayti munda' Nick Jonas. She had been trolled brutally for dating a 10 years younger American singer-songwriter, Nick Jonas. 130Cr. Indian me se 1 ladka nahi mila? Well, after reading these hilarious comments, we are reminding the famous dialogue from Race 3 film from PeeCee sides to her trollers that ‘our business is our business none of your business’. We must say that this the toughest time for Priyanka Chopra as her Quantico next season has been cancelled and even she was slammed for portraying India in a bad light in an episode.